On December 1, 2011, Deamon de marché opened in a location overlooking Devil’s Washboard. 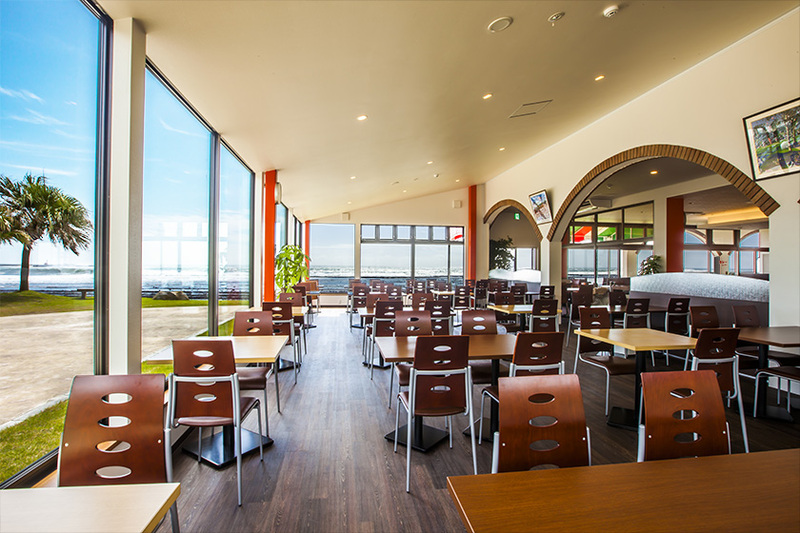 Deamon de marché is a shop and restaurant with a wonderful view of the Devil’s Washboard, a scenic area that makes Miyazaki so special. 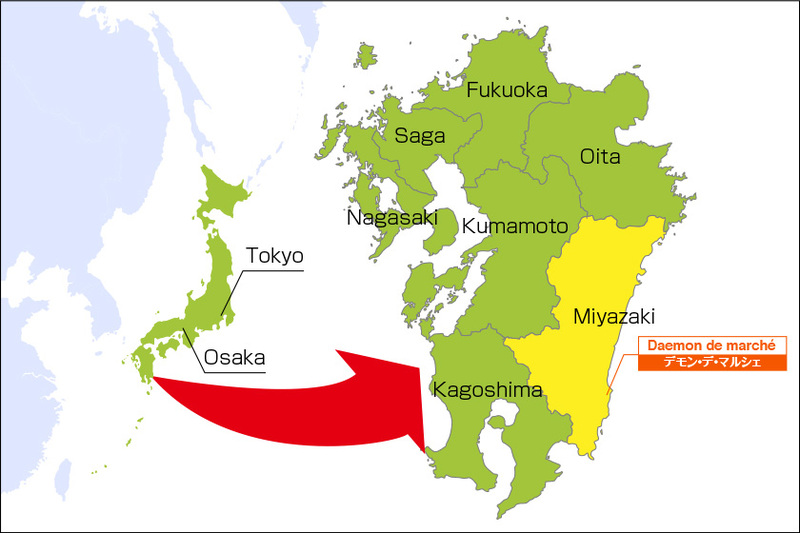 Deamon de marché is in Miyazaki located on the Kyushu Island southeast of the Japanese archipelago. 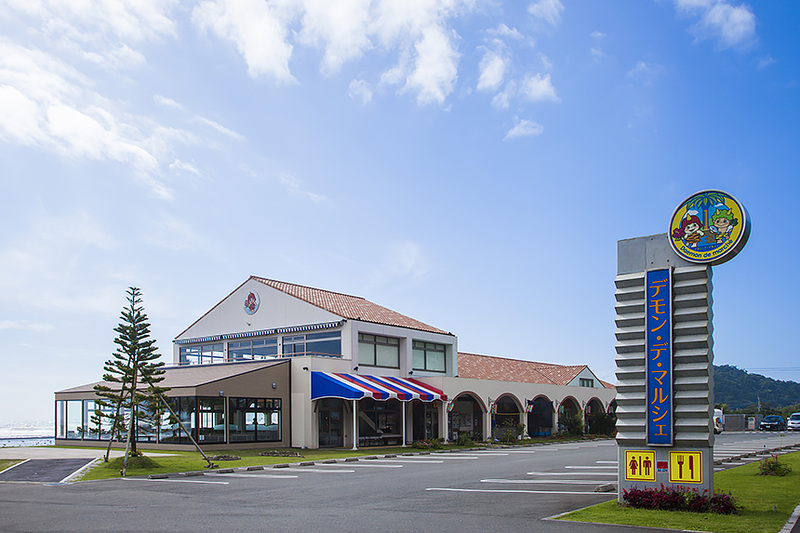 Miyazaki is blessed with tropical weather, and is where professional baseball, soccer and other sport teams hold their spring camps. 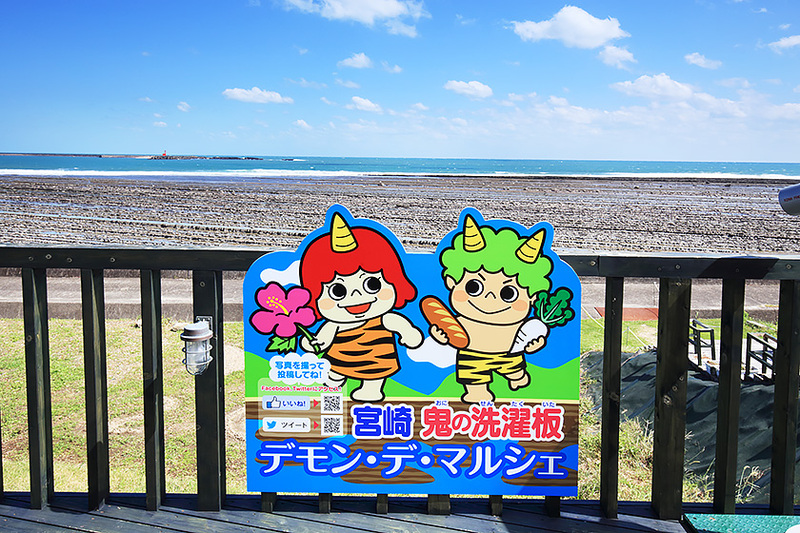 The wavelike rock formation that spreads in front of Deamon de marché is called Oni-no-Sentakuita or the Devil’s Washboard. Aqueous sedimentary rocks (geologic layers of hard sandstone and soft mudstone) that were formed in the sea during the Late Miocene (about 7 million years ago) bulged and these were washed by waves for centuries, leaving behind hard sandstones that now look like boards are piled on top of another. 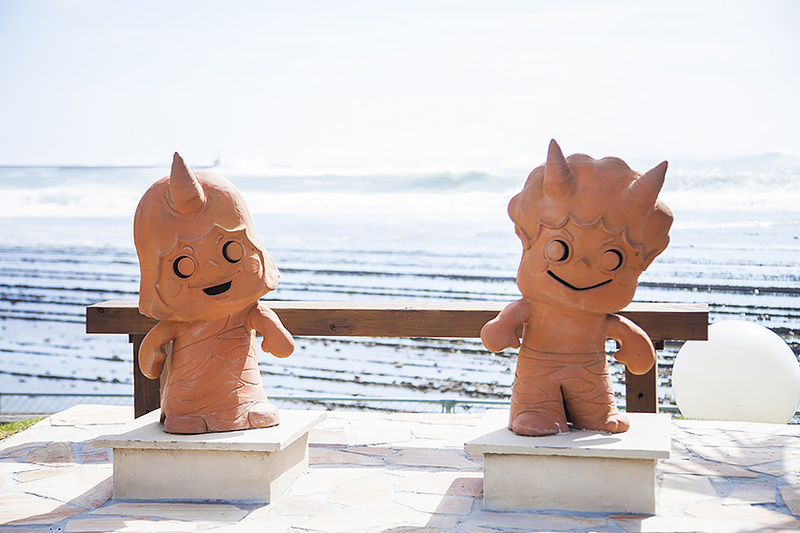 Statues of Deamon-kun and Marché-chan welcome you at Marché Plaza along the coast line. Deamon-kun and Marché-chan are guardian deities in the form of devils. 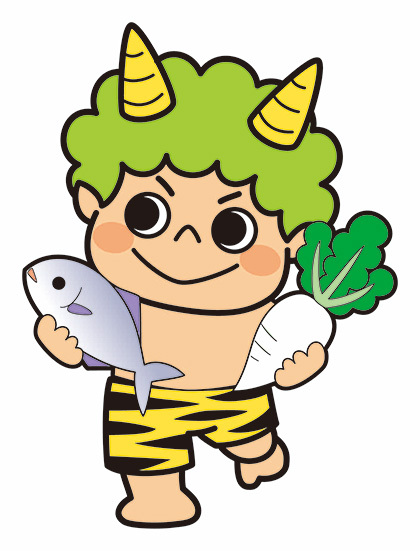 It is said that their horns have special powers and if you touch them, your wish will come true. Bread is baked early morning in the shop’s bakery. 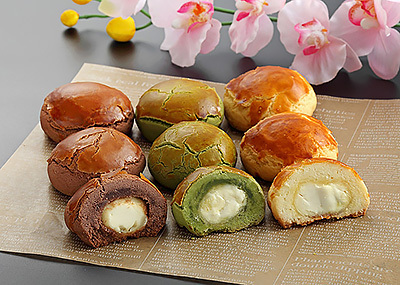 There is a variety of bread, from standard favorites such as “Melon-pan (melon bread),” “An-pan (bean custard bread,” “brioches,” “sandwich bread,” and “baguettes” to sandwiches etc. 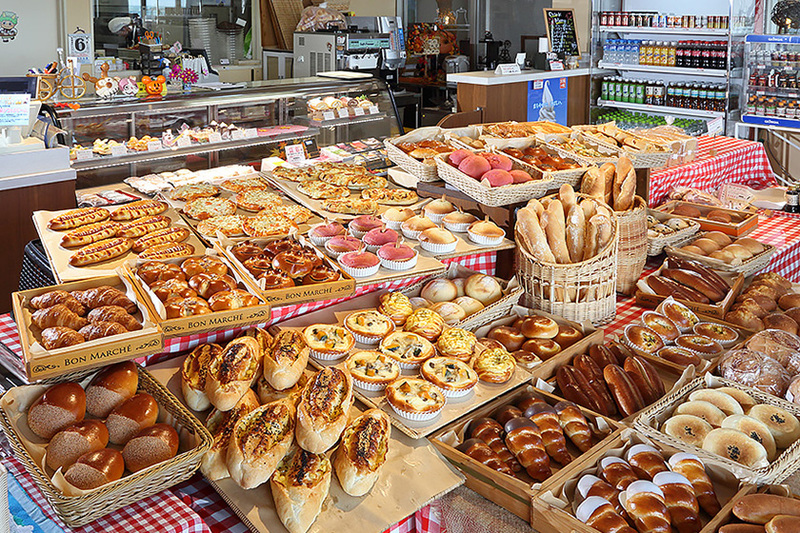 “Butter brioche rolls,” “mini-croissants,” and “pain de champagne bread” served in the buffet restaurant are also baked in the shop’s bakery, and sold hot from the oven. 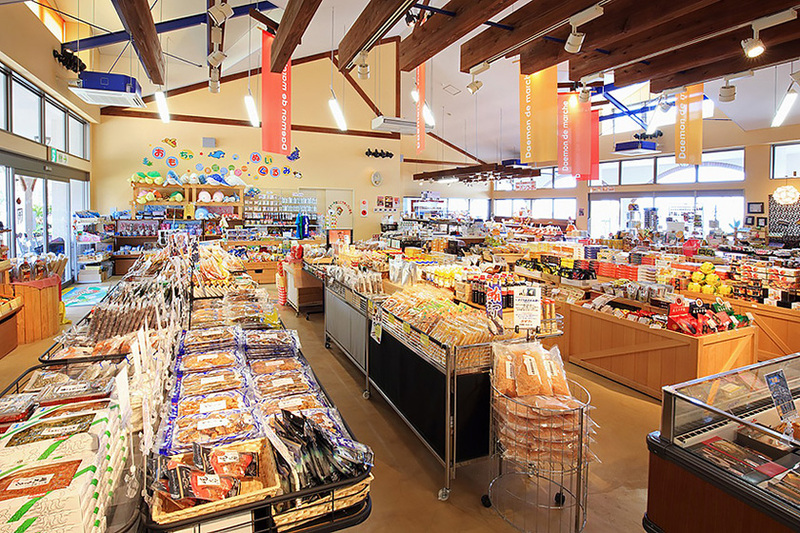 The shop has a wide assortment of Miyazaki specialties such as local seafood, confectionery, Tomura’s grilled meat sauce, Miyazaki’s distilled spirits and rare spirits such as Mao. Sundries and accessories popular among ladies change with season. 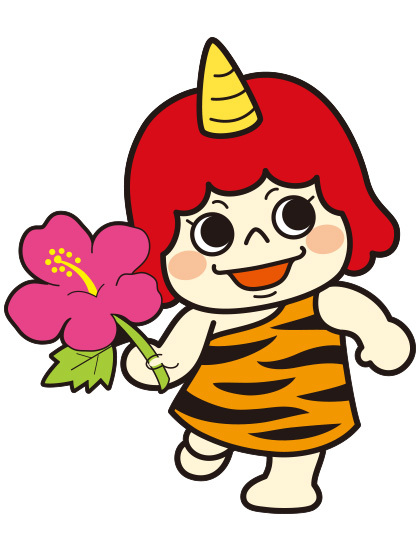 Originating in Miyazaki, this has become popular confectionery nationwide. 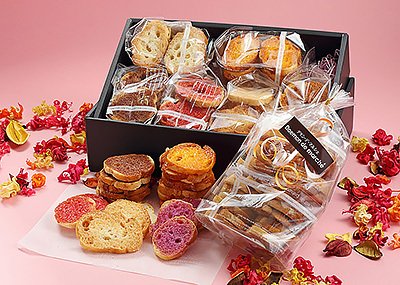 Deamon de marché bakery bakes 3 different flavors. Try them all in the place they were originally made! The rusks which are very popular now are also baked at the shop’s bakery. Deamon de marché rusks are popular as souvenirs and gifts. 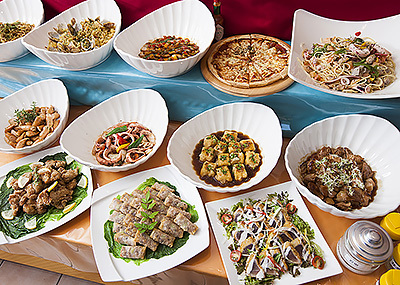 The buffet restaurant on the first floor offers a wide assortment of seafood dishes. Enjoy fresh fish and sushi, as well as pasta, fried food and desserts that will satisfy the tastes of all ages, young and old alike. Relax and enjoy your meal while viewing the beautiful sight that spreads before you. 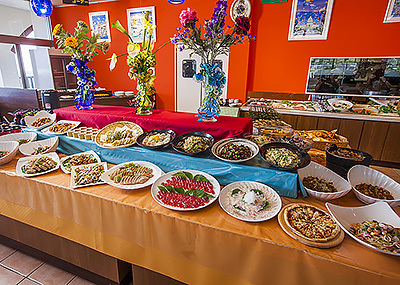 *90-minute buffet lunch on weekdays and 70-minute buffet lunch on Saturdays, Sundays and holidays. Please notify us about your cancellation 2 days before your scheduled arrival. Cancellation charges may be applied depending on the content of your reservation. Please inquire by phone for details. Download the reservation form from the website.